Józef Marcinkiewicz grew up with some health problems, in particular he had lung trouble, but this did not prevent him taking an active part in sports. Swimming and skiing were two sports at which he became particularly proficient. He had a schooling which resulted in a love of both mathematics and of Polish literature. He found making the decision as to which of these subjects to study at university a difficult one, and of course studying both was impossible. It was not that his training had lacked a science base, for he had a wide knowledge of physics and astronomy, but rather he just had broad interests. He decided to take a university course in mathematics but Polish literature would remain a hobby. ... to my great pleasure he approached me without any prompting on my part. This was the beginning of our mathematical collaboration. In the quiet and provincial pre-war Wilno a close contact between the student and professor was natural and easy, and we spent much time on mathematical discussions. The mathematical development of Marcinkiewicz was progressing at a very fast rate and the richness and originality of new ideas in him was always a source of amazement to me. In 1933, after three years of study, Marcinkiewicz was awarded his Master's degree. He had already obtained important new mathematical results and the thesis that he wrote for his Master's degree contained them. In particular he had found a continuous periodic function whose trigonometric interpolating polynomials, corresponding to equally spaces mesh points, diverge almost everywhere. Two years later Marcinkiewicz was awarded his doctorate, something which would be impressive enough if he had spent two years working for it, but he did not have this luxury since he had to undertake a years military service immediately after the award of his Master's degree. Once he had completed military training he was appointed as a junior assistant at the university in Wilno. His doctoral thesis Trigonometric interpolation of absolutely continuous functions was an extended form of the work which he had submitted for his Master's degree. He received the doctorate in 1935. During his year in Lwów, Marcinkiewicz also collaborated with Kaczmarz. He suggested problems on general orthogonal systems to Marcinkiewicz and this resulted in a series of papers from him on this topic. Returning to Wilno in the autumn of 1936, Marcinkiewicz became a senior assistant there, and in the following year he became a Dozent. Perhaps through his contacts with Schauder, who had greatly benefited from his time in Paris, Marcinkiewicz applied to the Fund for National Culture for another Fellowship, this time to study in Paris. He was successful and in the spring of 1939 he went to Paris. While he was there he received an offer of a Chair of Mathematics at the University of Poznań, and was awaiting approval of the post by the Ministry of Education so that he could take it up at the beginning of the 1939-40 academic year. 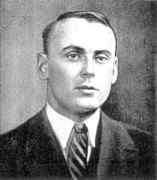 From Paris Marcinkiewicz went to England and he was there in August 1939 when the deteriorating political situation made him decide to return to Poland. His colleagues in England tried to persuade him to stay, rather than return to Poland, but through his years military training he was an officer in the army reserve and felt that it was his duty to his country to return. On September 2, the second day of the war, I came across him accidentally in the street in Wilno, already in military uniform ... We agreed to meet the same day in the evening but apparently circumstances prevented him from coming since he did not show up at the appointed place. A few months later came the news that he was a prisoner of war and was asking for mathematical books. It seems that this was the last news about Marcinkiewicz. During his time in Paris and England, Marcinkiewicz had produced some mathematical work which he had written down in manuscript form. After returning to Poland he gave these manuscripts to his parents for safe keeping. Sadly Marcinkiewicz's parents suffered the same fate as he did and died during the war. No trace of the manuscripts was ever found. [He was] a tall and handsome boy, lively, sensitive, warm and ambitious, with a great sense of duty and honour. He did not shun amusement, and in particular was quite fond of dancing and the game of bridge.